Obituary for Linda Lee Haynes | Baker-Terravecchia Funeral Home, Inc.
Linda Lee Haynes, Age 58 of Uniontown Pa passed away on Saturday, March 9, 2019 unexpectedly. She born on Sunday July 10,1960 in Uniontown, Pa. The daughter of the late Gerald W. Martin and Jeanie Phillips. 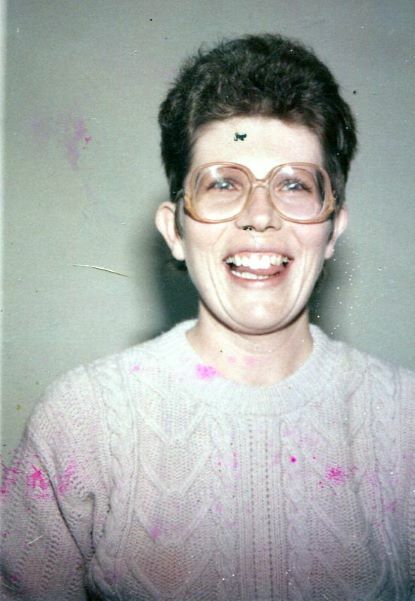 Linda was a member of Bread of Life Tabernacle in Uniontown, PA.
Left to cherish her memories besides her husband Steven Haynes of Uniontown, her daughter Erica Lee Haynes and Fiancee Jack P. Johnson Jr. of Charleroi, PA, her siblings David (Lori) Martin of Hopwood, Jamie Kendall of Uniontown and Jerry (Sandy) Martin of Uniontown along with extended family and friends. Arrangements have been entrusted to the Baker- Terravecchi Funeral Home, 71 South Pennsylvania Avenue, Uniontown where family and friends will be received on Thursday, March 14, 2019 from 10- 12 pm the hour of service with Pastor John Broadwater officiating.